I found this delightful book for sale on Etsy.com (in the vintage category). It was written in 1958 by Gladys Conklin, and was illustrated by Barbara Latham. I thought it would just be a cute addition to my collection of insect books, but it has really wonderful illustrations featuring a wide variety of behaviors and natural history. 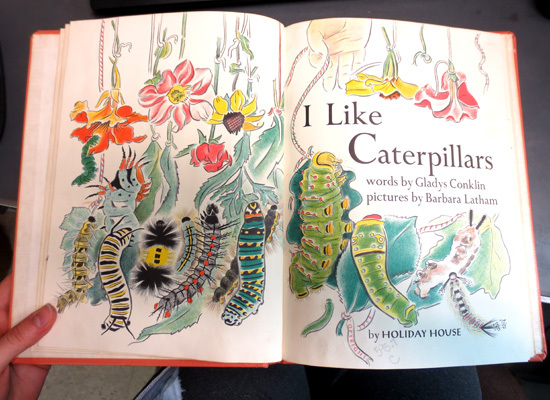 The author and illustrator really knew their caterpillars. 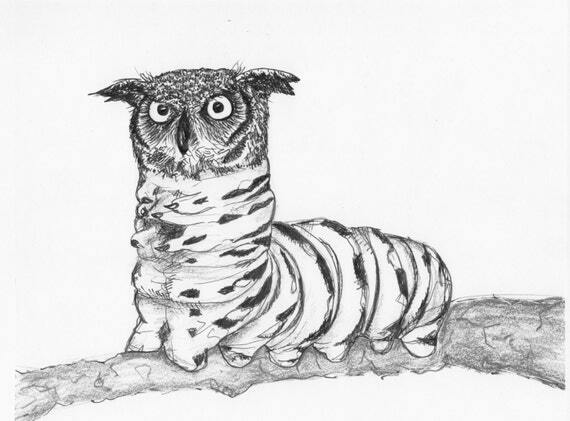 The caterpillars are all based on real species found in North America. The illustrations feature eggs, first instars, morphological changes, defensive behaviors, molted skins, feeding behaviors – even frass flinging! 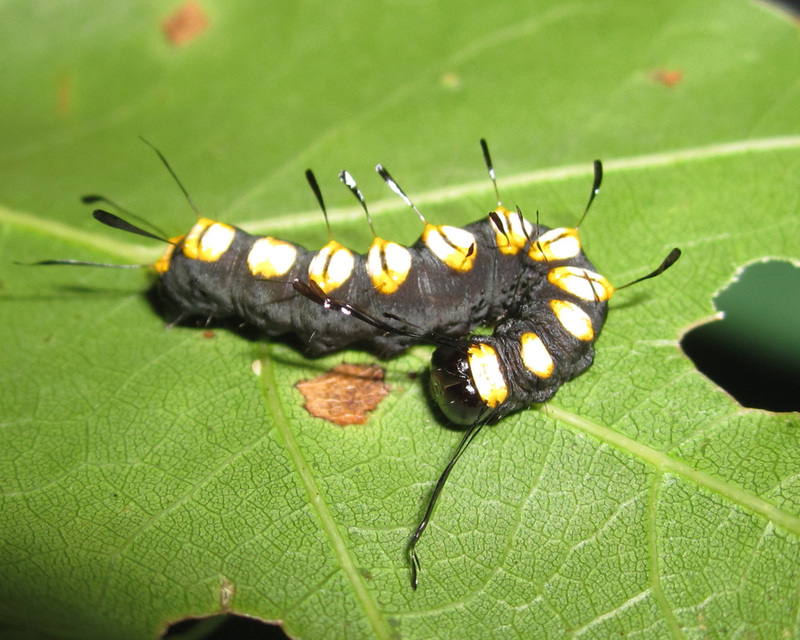 That caterpillar in the middle is clinging to the stem face down, and has twisted its rear end over its back in order to shoot its poop. This book was definitely written by an observant nature lover. I’m calling this my new favorite book, and highly recommend it for anyone who likes caterpillars. I think the target age is about 5 or 6 years old… but… no one will judge you. Here are a few places you can buy it: Etsy, Amazon. 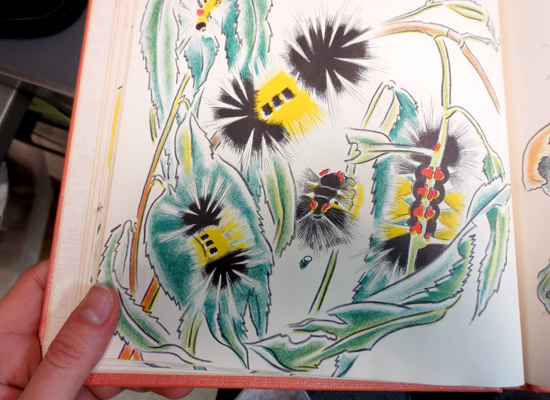 Gladys Conklin wrote a variety of children’s books on insects and other animals. Some titles include “I Watch Flies”, “When Insects are Babies”, and “I Caught a Lizard”. I want to buy them all! As some of you know, I have a sewing business on the side. I haven’t made anything in a few weeks, though, because grad school tends to get in the way of hobbies. 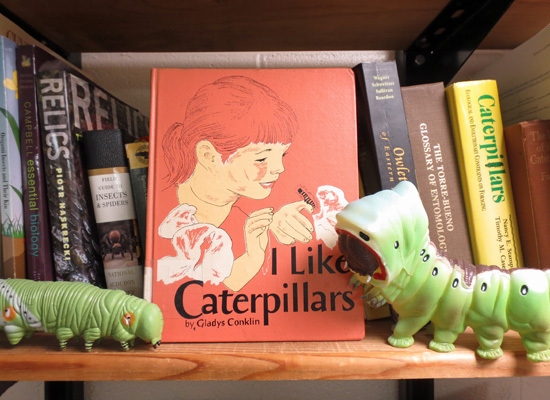 But I feel inspired to make some caterpillar plushies this weekend. Stay tuned. Here is a treasury I made on Etsy, featuring girls who like bugs. Lots of cool art prints and greeting cards. I wish I had seen artwork like this when I was a kid, would have been encouraging to know I wasn’t quite alone. Click here or click the photo to go to the treasury and see the individual listings. 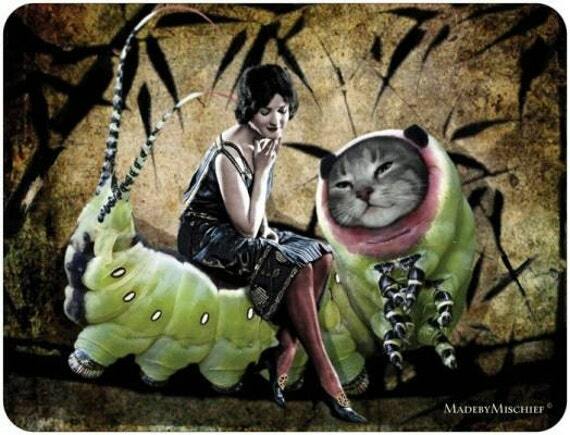 Searching for “caterpillar art” on Etsy brings some interesting results. Check out MadebyMischief for more cool collages, often featuring bits of insects. I bought this shirt from EscapePod on Etsy. 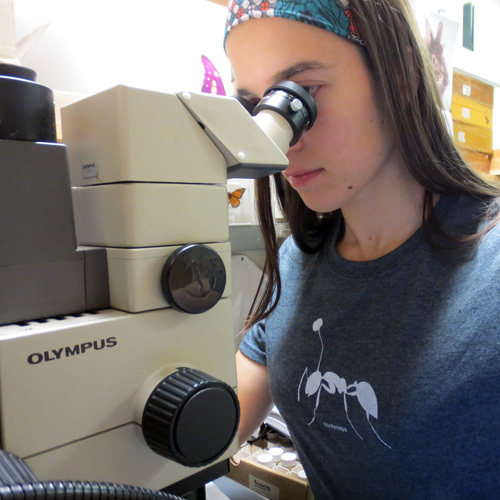 It’s what all the cool entomologists are wearing these days, featuring an ant infected with the cordyceps fungus. If you need some fun lunch-time reading, here is an article by Carl Zimmer on “How to control an army of zombies“. I buy almost as much as I sell on Etsy.com. I love finding unique handmade items, especially when they involve insects. I’d like to share with you some of my favorite insect-themed shops/items that I have found recently. Click the images to go to the listing pages where you can buy them! 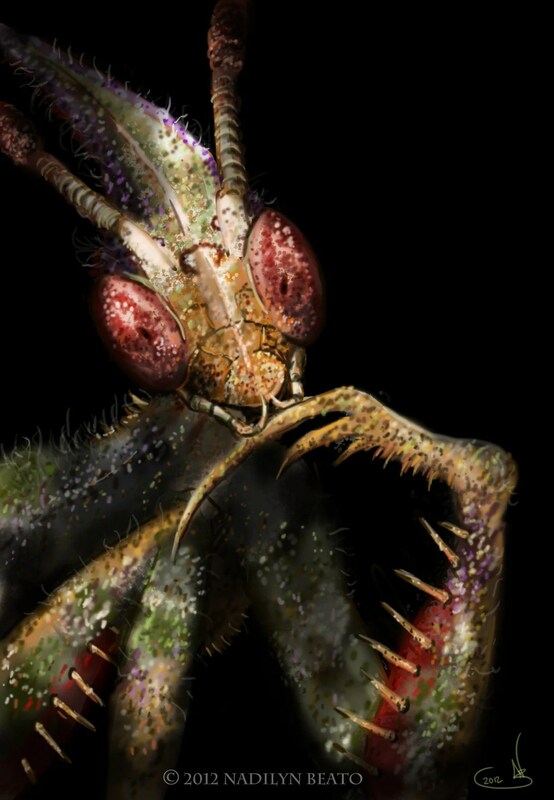 This amazing mantis image was created by Nadilyn Beato – her shop is full of amazing organisms, mostly invertebrates and reptiles. If you love charismatic (and slightly creepy) creatures, you’ll find something to covet in her shop. I absolutely love the whimsical style of this artist, Lulunjay. I have two of her rabbit prints hanging in my house, and I’ll probably buy some of her insect prints for my office. 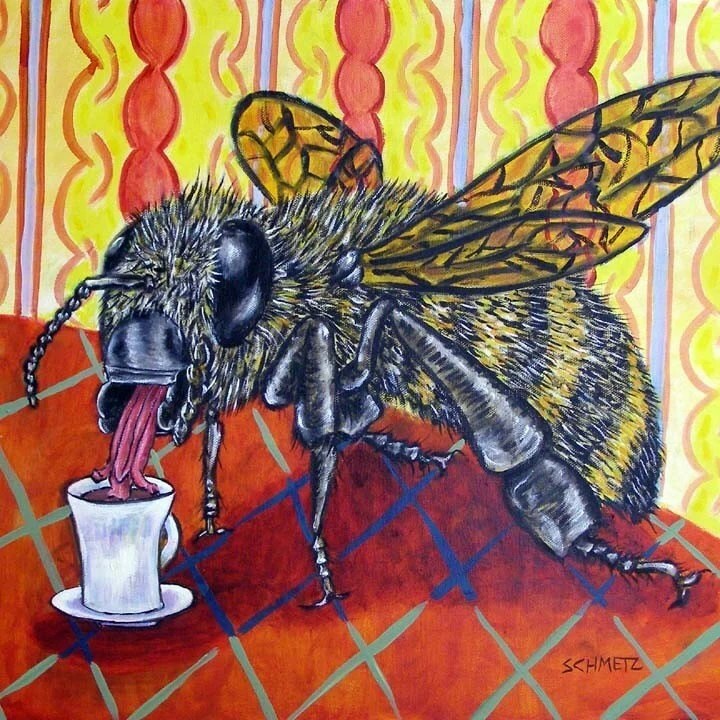 Her work is of animals doing “human” things, like this bee drinking a coffee. It’s really difficult to choose a favorite image from OniOniOniArt’s shop, they’re all so wonderfully adorable. 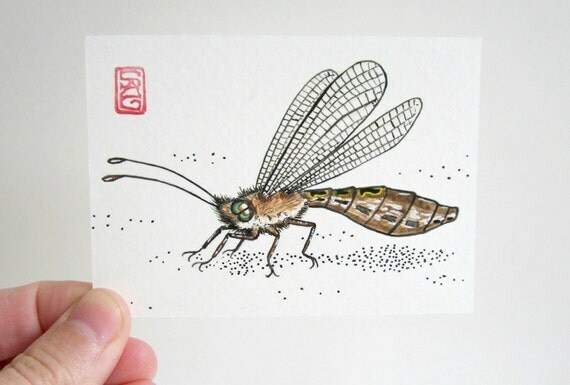 This print is of an owlfly. She has a lot of insects, reptiles, and cats (great combination!). Check out these fruit fly cards if you still need a Valentine’s day card. One day, when I make millions as a professor (ha! 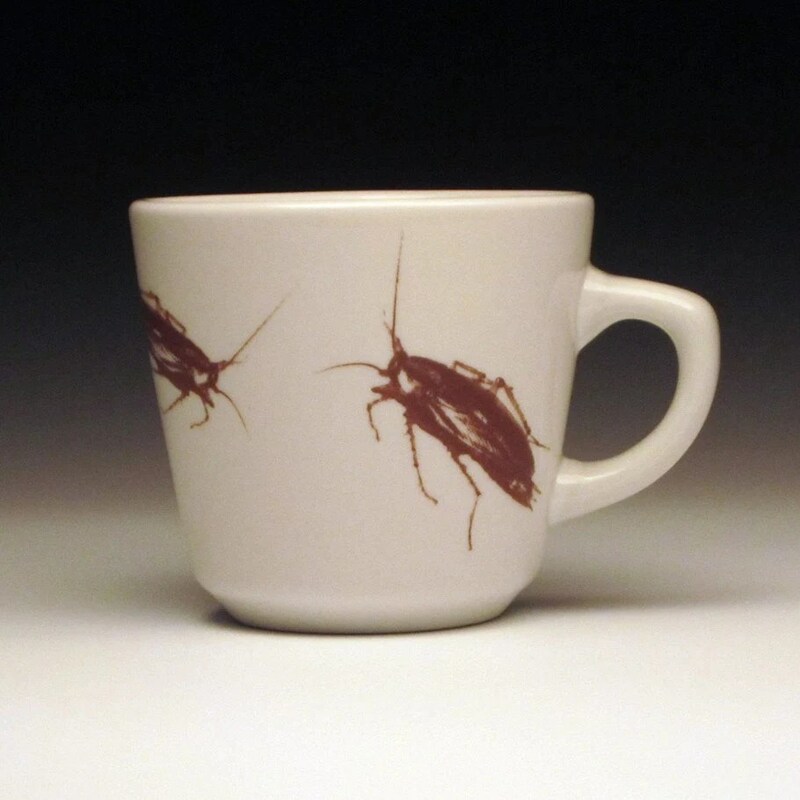 ), I’ll buy a whole set of matching cockroach dishes from foldedpigs. 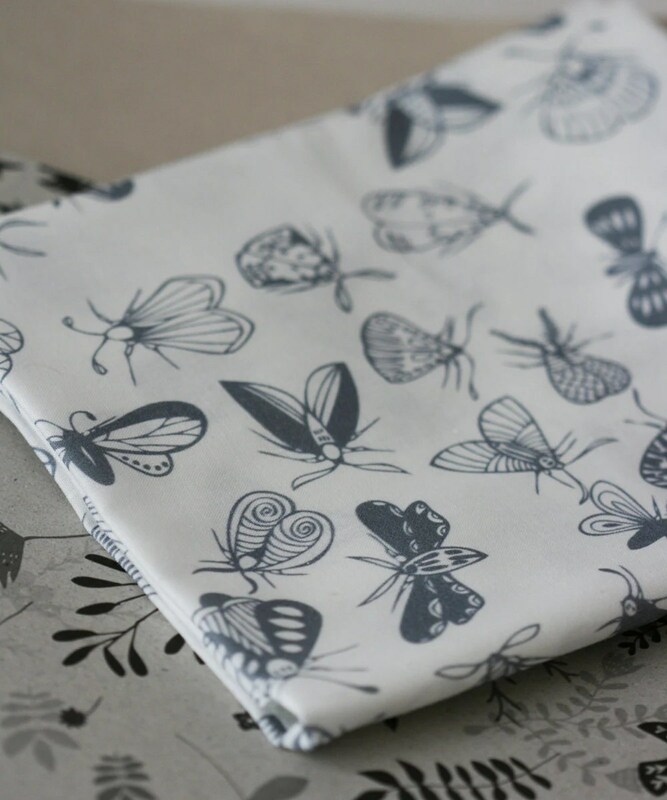 As soon as I figure out what I’ll make with it, I’m going to buy some of this moth-print fabric by LilaRubyKingShop. Do you have any favorite insect-themed shops on Etsy? Please share in the comments! I just purchased a custom order from CaterpillarArts on Etsy. She opened up her shop a week ago, featuring beautiful little caterpillar pendants. When I saw her work I had to ask for my favorite species, Acronicta funeralis. 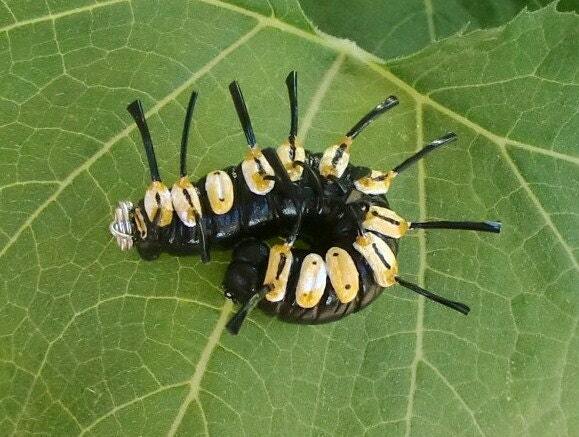 I know it’s a tricky one, but AJ blew me away with how accurately she was able to re-create this caterpillar. I can’t wait to get this little guy in the mail next week! Please check out her shop, more goodies are being added frequently – I just saw she has a few crystalids as well!